Fantastic Feathers: Why Colorado springs is ranked #2 in "Best places to live" list? Why Colorado springs is ranked #2 in "Best places to live" list? 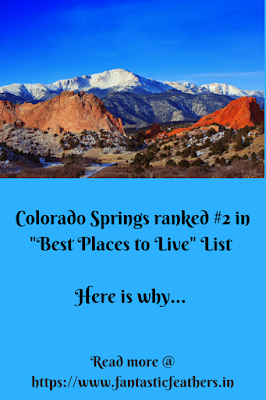 I knew Colorado springs as a good tourist destination for a long time, but I didn't know that it is one of the best places to live. 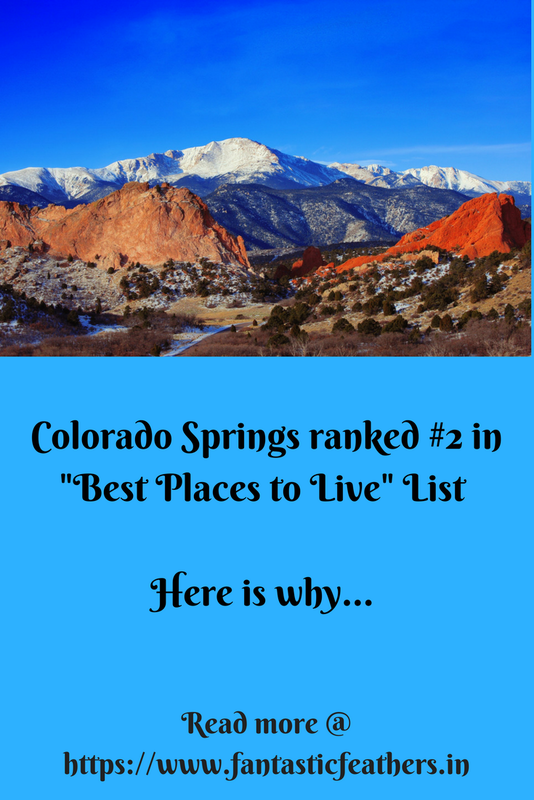 If you are following the news recently, you know that Colorado Springs is ranked #2 by U.S News & World Report as the best place to live. Since the population is increasing everywhere and more cars on the road, having the ability to reach office early without much traffic is bliss. Don't you agree? I would definitely vote this as the best reason for the people to prefer living here. When compared to metro cities like Denver, having less traffic means more time at home, peaceful time at the office, less frustration while driving and overall satisfaction. Colorado Springs is a good place to live in when it comes to Environmental quality and outdoor satisfaction. It attracts more students and military people as it has more colleges and a military base. As it is already a scenic place with tourist attractions, it is satisfying to live here. As per the survey by Manpower group, Colorado Springs job market was ranked 3rd in the nation in 2017. The unemployment rate in Colorado Springs is quite low at 3.3% in Elpaso County when compared to 4.1% nationwide. Some of the industries in need of employees in Pikes peak region are healthcare, manufacturing, Information technology and cybersecurity. With beautiful scenery and all these above-mentioned benefits, who wouldn't love to stay in Colorado Springs? What do you say?